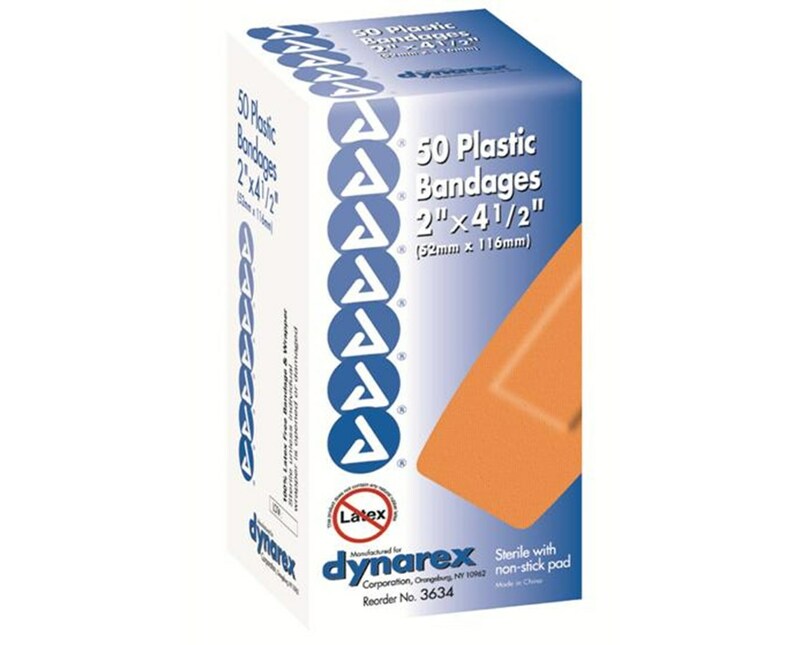 Dynarex Plastic Adhesive Bandages are sterile and ready to use. Non-stick pad absorbs secretions and protects wound as it heals without adhering to wound. Manufactured of strong, sheer, ventilated plastic. Adhesive coating provides a secure, long lasting bandage. 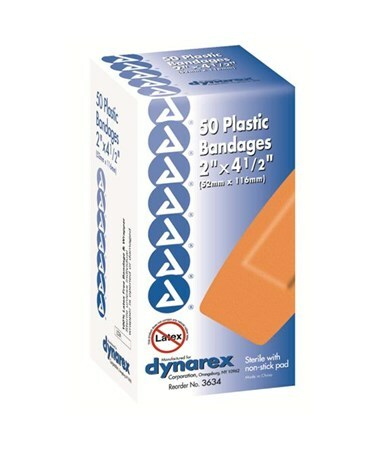 Dynarex Plastic Adhesive Bandages are packaged in dispenser boxes for your convenience.